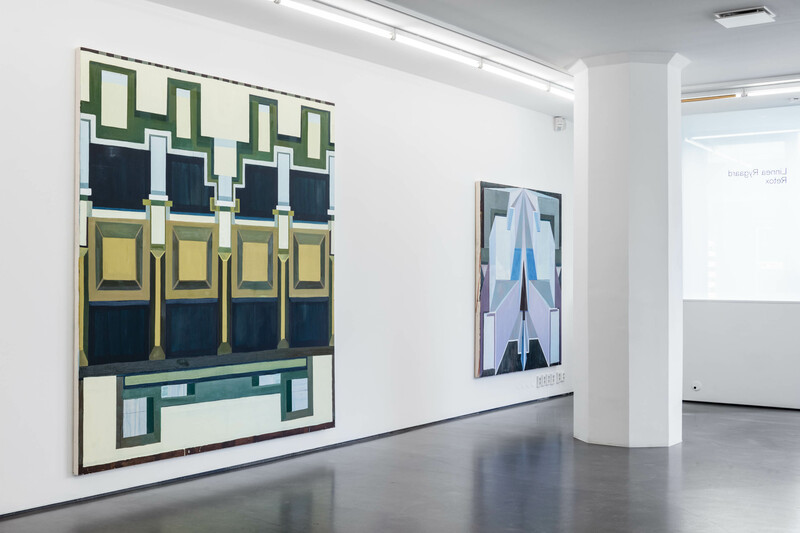 Cecilia Hillström Gallery is pleased to present Linnea Rygaard’s first solo exhibition at the gallery. For Linnea Rygaard, the central perspective is key to the process of painting. Invented in the Early Renaissance, the central perspective was initially a method to create illusionary spaces in religious art. 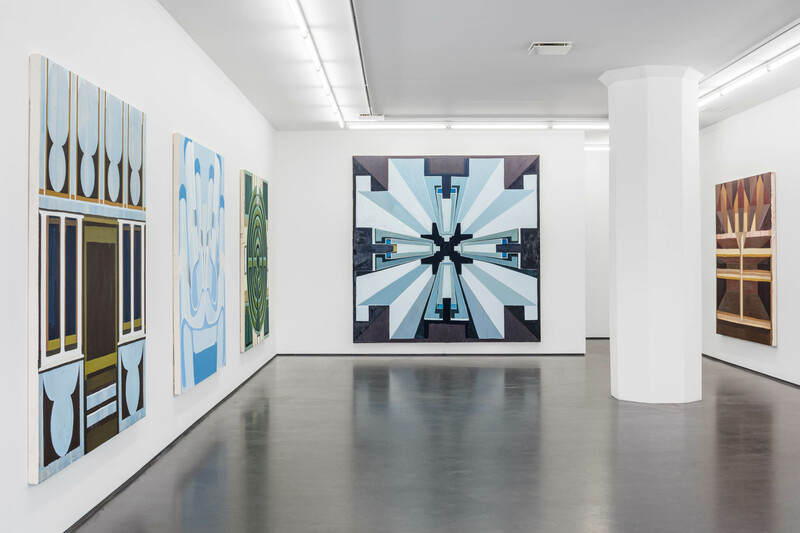 In Rygaard’s large-scale paintings it contributes to an almost overwhelming experience. Breathtaking depth is put in stark contrast to roughly cutout symbols or shapes, lingering on the surface of the canvas. Once imprinted in our consciousness, the symbol is hard to ignore. Linnea Rygaard’s juxtaposition of perspective and symbols creates an imbalance which requires attention and concentration. 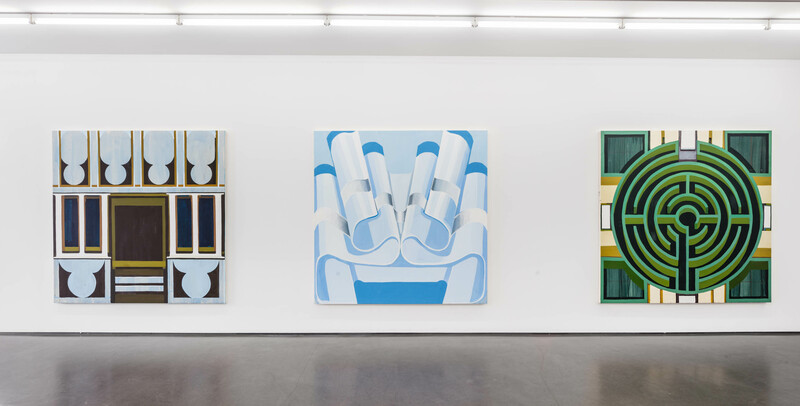 Rygaard uses an ambivalent scale in her paintings, playing with macro and micro perspectives, highlighting the dissolution between various dimensions. The starting point for Linnea Rygaard is always a strong interest in the pure craftsmanship involved in painting and the fascination of the empty canvas. There is a gap between the plan of creating a specific painting and the knowledge and skill it requires, but also a constant strive for reaching out to the viewer – a balancing act between manipulation and communication. Read the exhibition text by Clay Ketter here.